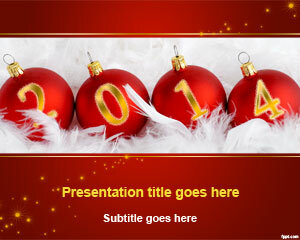 Free New Year 2014 PowerPoint template is ideal to share your new year resolution. 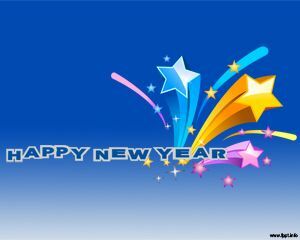 A new year brings with itself hope, a promise for a better tomorrow, and most importantly a universal party. Share your joy with people from places like London, Las Vegas, and Paris with the help of free New Year 2014 PowerPoint template. Send an invitation to your friends, family, and even strangers from across the globe on every important occasion with the help of free PowerPoint templates. 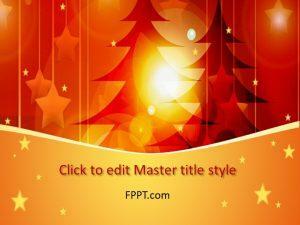 FPPT has an array of free backgrounds for important events, such as free 2014 PowerPoint slides, and 2014 New Year PowerPoint background. The New Year is remembered by sights of fireworks and crowds of people gathered to celebrate its arrival. 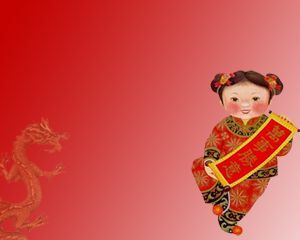 People from different countries and beliefs and their own special rituals and traditions, but the universal tradition is to go out and have a good time with everyone eagerly awaiting the arrival of the New Year. 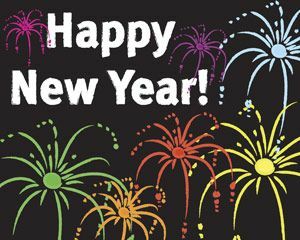 Raise a glass, make resolutions, and keep warm while wishing everyone a “Happy New Year 2014!” Use the free New Year PowerPoint template to spread love and share your New Year’s resolution with everyone you know. 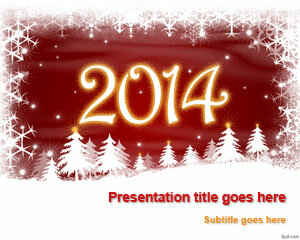 A bunch of fireworks and 2014 written in red symbolize the free New Year 2014 PowerPoint background. It is fit for a formal celebration in front of the boss, or faculty, in addition to just your friends and family. Write down your New Year resolutions with the help of bullet points. Slides have standard text and font size to give it a professional touch. 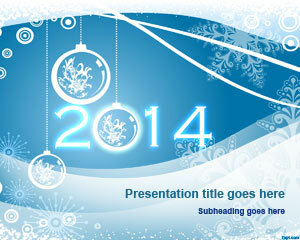 Free New Year 2014 PowerPoint template is compatible with the latest and previous versions of Microsoft PowerPoint.